I love making sugar cookies. They can be so fun! 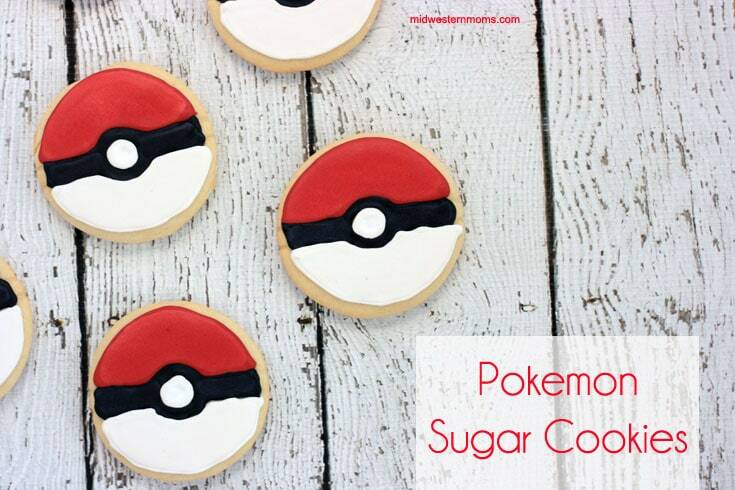 Sugar Cookies are easy to transform into any theme. 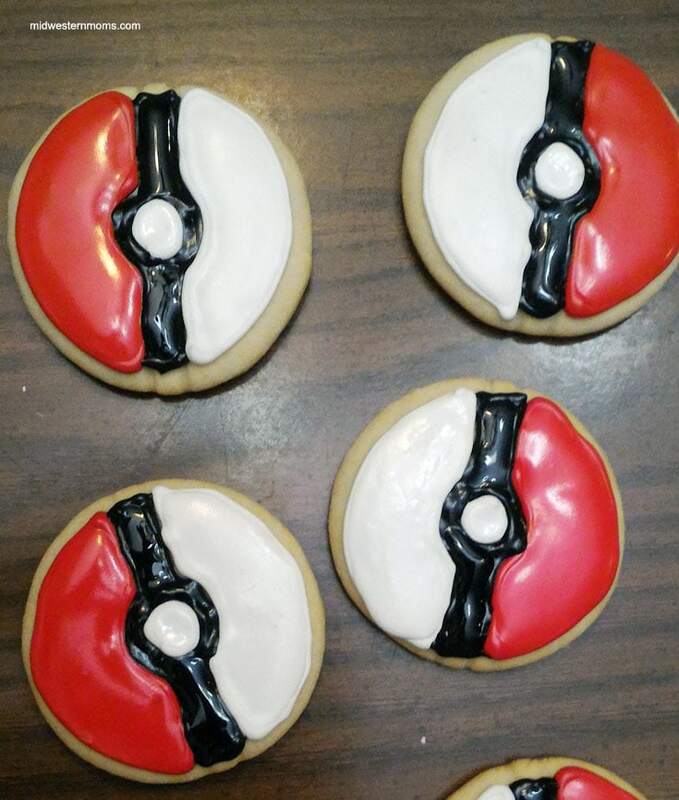 Since Pokemon GO has taken the world by storm, I thought some Pokemon sugar cookies fun! If you haven’t noticed, it is Pokemon week. These cookies are made with my favorite sugar recipe. It makes a large batch. 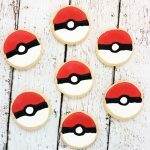 I got approximately 50 Poke Ball Cookies from one batch. You will want a Stand Mixer for this recipe. You do not want to mix it by hand. The dough gets way too thick. You can try it with a hand mixer, but I wouldn’t. A stand mixer is the way to go. 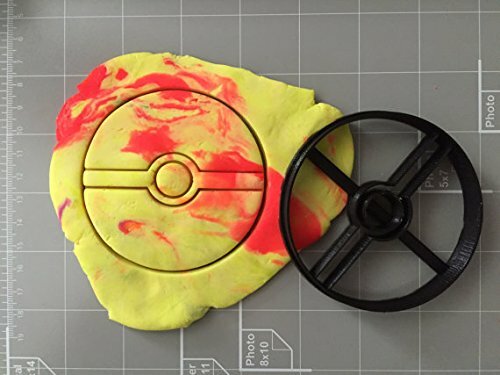 You will need a Poke Ball Cookie cutter for cutting out the cookies. When rolling out the cookie dough, flour is going to be your best friend. Make sure your surface is floured and that you keep flour on your rolling pin. I love using royal icing for my sugar cookies. It allows you to create super cute designs. 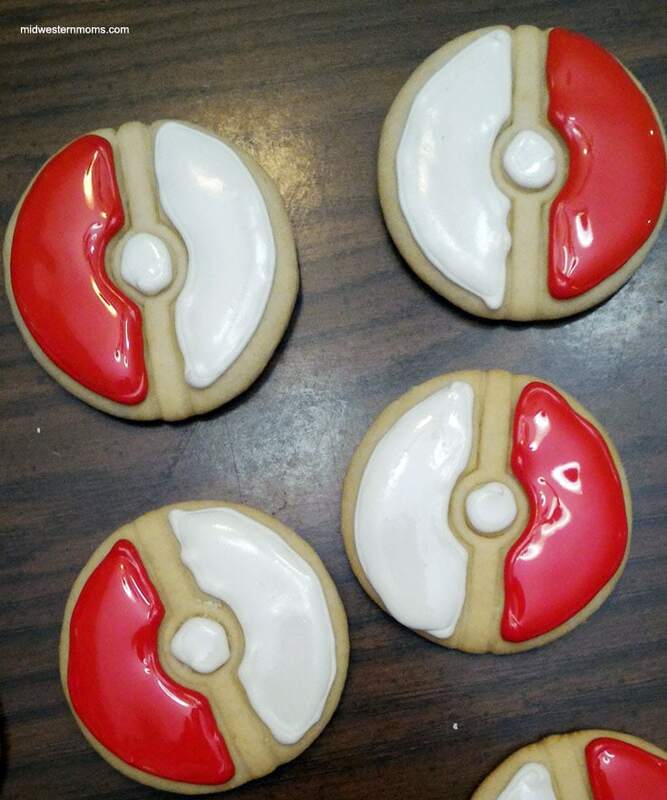 I worked with one color of icing at a time when making these cookies. I started with the white first since I didn’t have add color to it. For decorating, I used a number 2 tip and disposable decorating bags. Using the stiffer royal icing, you will outline the area you want in that color. Please excuse the photos. 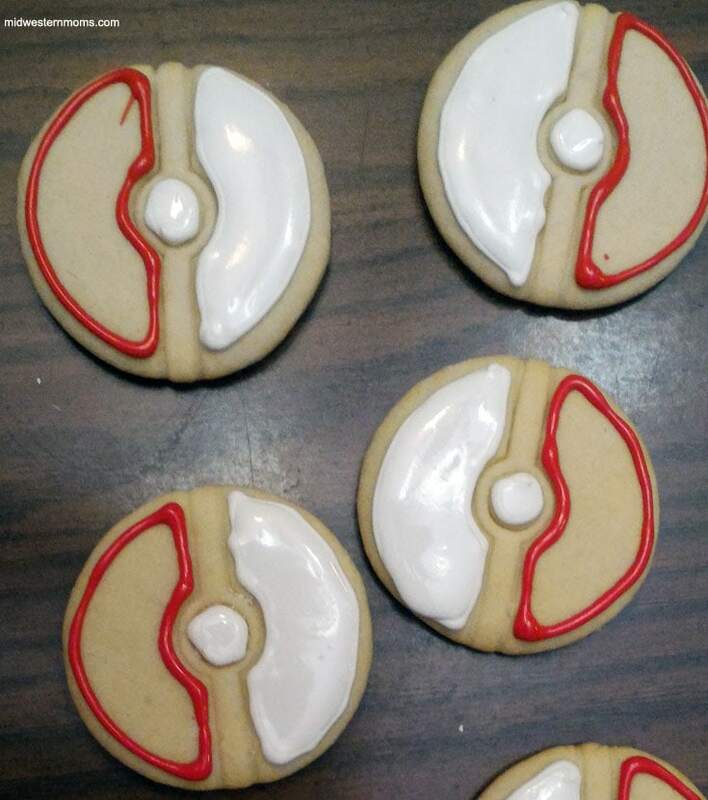 I worked on these cookies REALLY late at night. I finished at about 1 am. Sorry for not having impressive in process photos. After you have the area outlined, you will flood the area with the thinner royal icing. Once you have the cookies all decorated, you will need to allow them to dry for about 24 hours. I carefully transferred the cookies to drying racks and placed them in an area where the kids couldn’t get to them. 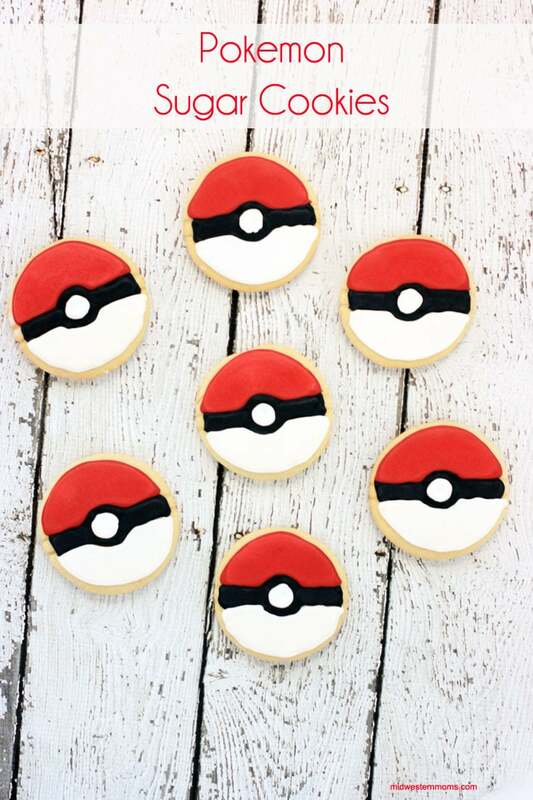 Awesome Pokemon Sugar Cookies with Royal Icing! In a stand mixer, cream sugar and butter. In a small bowl, combine the baking soda and sour cream. Add the sour cream mixture to the butter mixture and mix until blended. Add vanilla and eggs, mix until blended. Add the flour little by little and mix until well blended. Roll dough out on a floured surface and cut out the cookies. Place on a cookie sheet and bake for 8 minutes at 375 degrees. Combine all ingredients (except the food coloring) in a mixing bowl mixing on medium speed for 4 minutes. If icing is not stiff enough add more powdered sugar until you get the desired thickness. Use a thicker icing for outlining. For flooding, add 1 teaspoon of water to the icing to thin it out. Divide out portions of the icing to add you food coloring gel to get the desired colors. Decorating time will depend on your expertise.